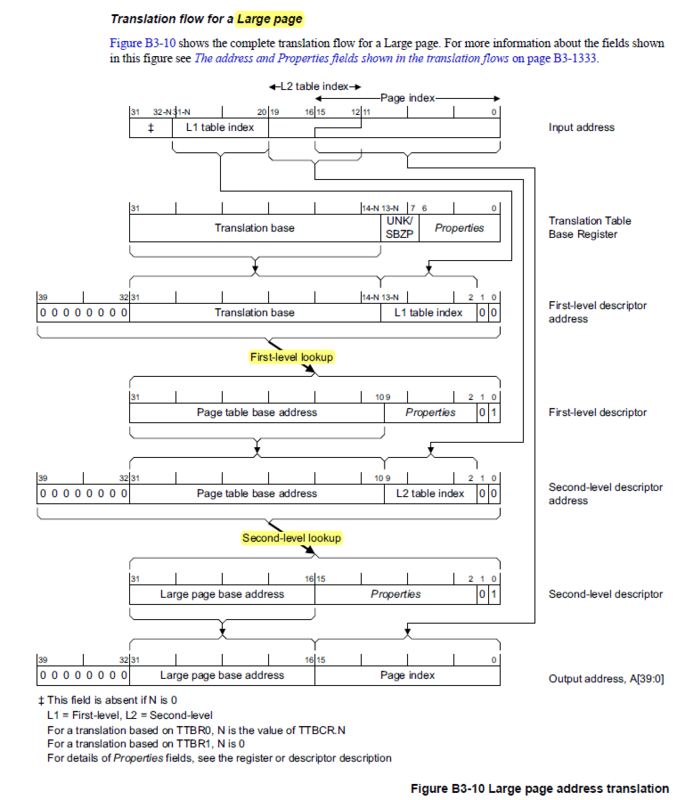 The MMU supports a two-level hierarchy for its page table structure. Allow the operating system to identify one process’ address space from another’s without flushing the cache. 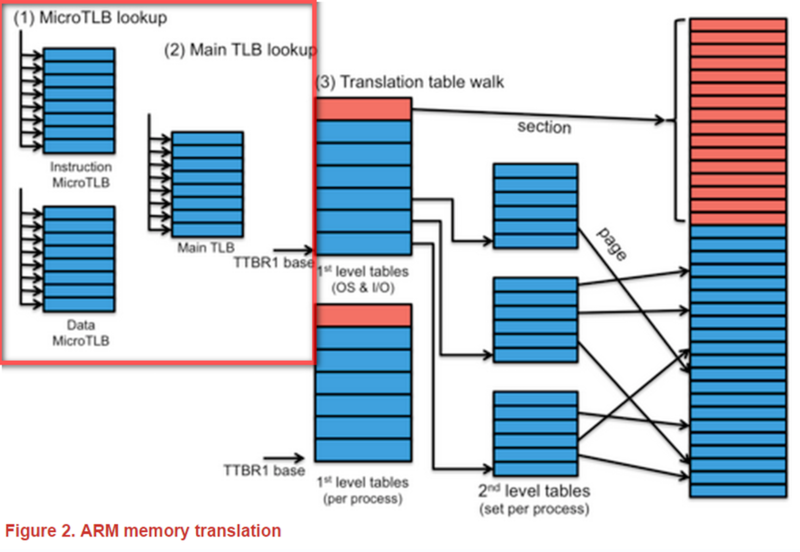 當 MicroTLB lookup 產生 cache miss，會往 Main TLB去找. Lookup過程與 MicroTLB相同(matched requested page and permissions)。如果 miss，到 step 3. 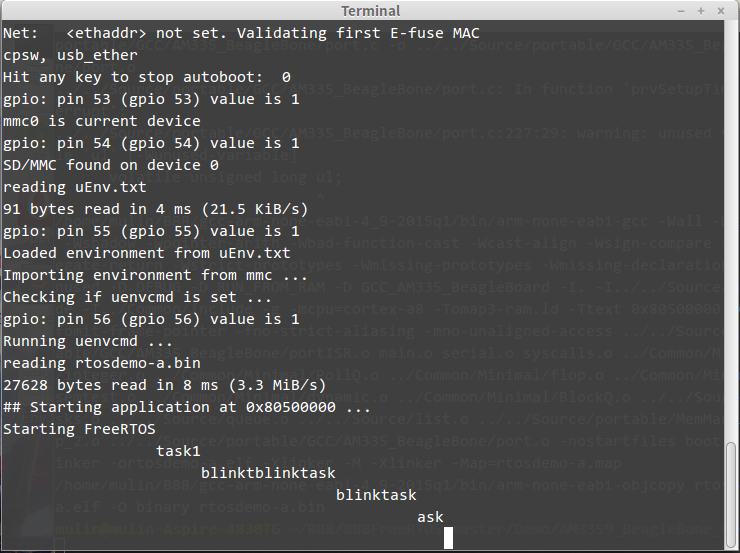 Move to ARM register from coprocessor. is an optional condition code (see Conditional execution). 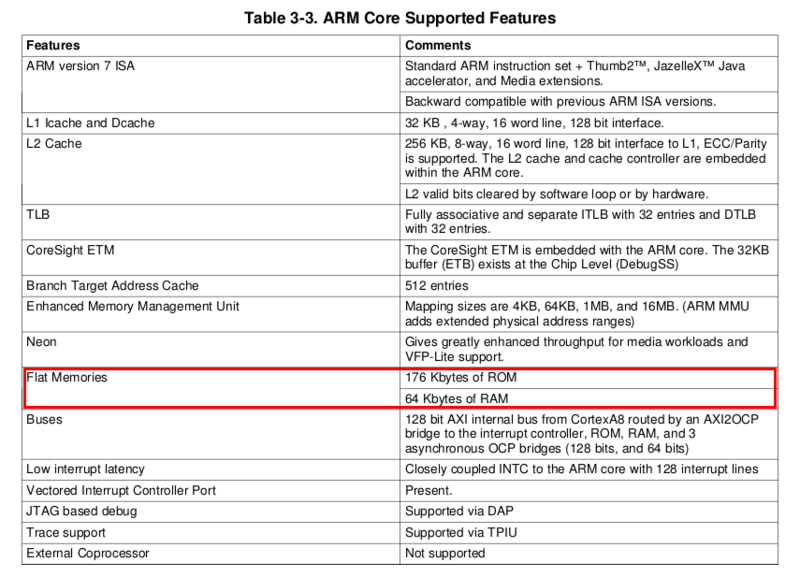 is the name of the coprocessor the instruction is for. 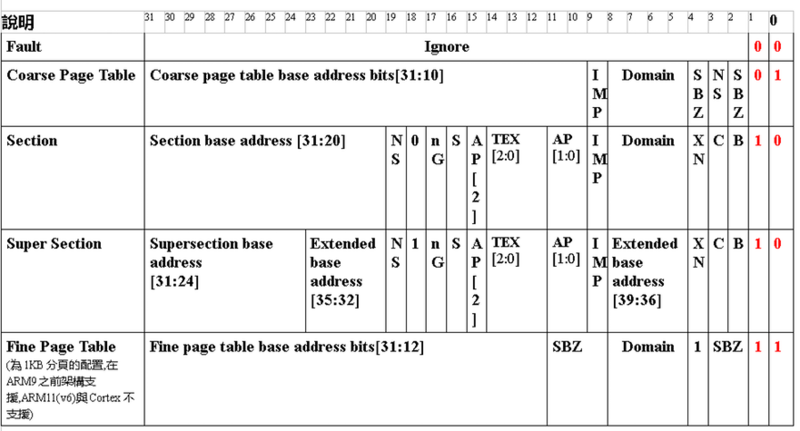 The standard name is pn, where n is an integer in the range 0-15.
is the ARM destination register. If Rd is r15, only the flags field is affected. 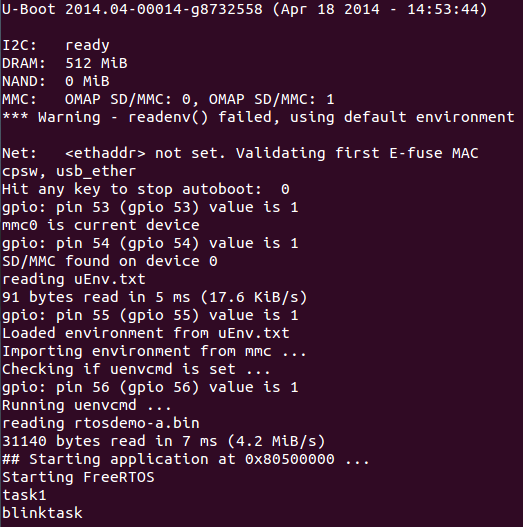 is an optional coprocessor-specific opcode. 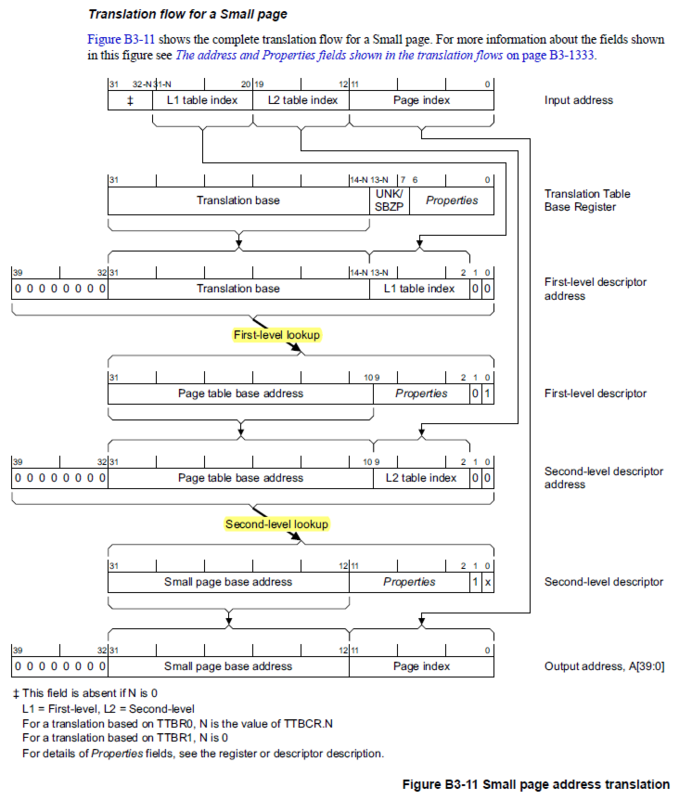 TEX[2:0] : TEX Type Extension (TEX) bit 如下以SCTLR.TRE=0 (透過CP15的c1取得 System Control Register 32bits值的bit 28 來設定),也就是TEX Remap disabled模式,來說明記憶體區段屬性的配置與意義. XN : 為Execute Never 的屬性,若該記憶體分頁 XN Bit設定為1,表示該分頁不會被處理器Fetch指令進來執行,在Client Domain (也就是會稽核Access Permission狀態)下,記憶體分頁必須要 XN Bit為0,且記憶體屬性是設定為可讀取,同時沒有其他Prefech Abort發生的狀態下,才可以被執行. 如果該記憶體分頁是屬於Manager Domain,XN Bit就不會被當做稽核的條件. (所以就可以嘗試去執行,而不會導致例外發生). NS : 這個屬性在支援 Trust Zone Security Extensions環境下,才會有作用. Domain : 參考ARMv7的文件, VMSA() 會以4-bits表示Domain的Index,也就是說最大可以定義到16個Domain,每個Domain Index會依序對應到Domain Access Control Register 32-bits值中以各2-bits依序產生的16個欄位. S : 用以定義該記憶體分頁是否為Shareable,S為 0 表示該記憶體分頁為Non-shareable,S 為 1 表示該記憶體分頁為 Shareable. 0 Descriptor is for a Section. 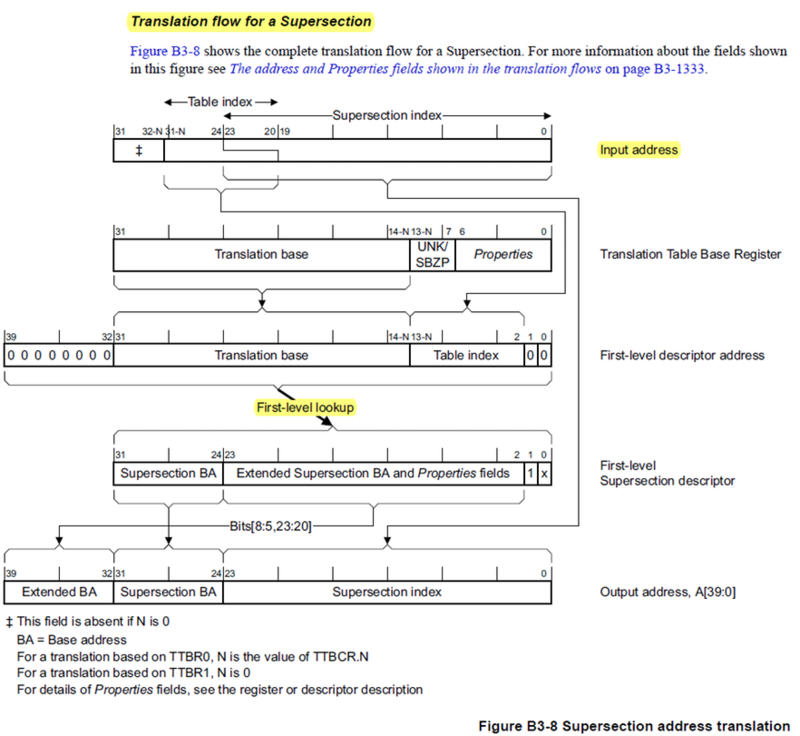 1 Descriptor is for a Supersection. During this stage, both single cycle and two cycle instructions write their results into the register file. The longer a lock is held by a thread, the greater the risk is that the thread will be interrupted by the OS scheduler while holding the lock. If this happens, other threads will be left “spinning” (repeatedly trying to acquire the lock), while the thread holding the lock is not making progress towards releasing it. 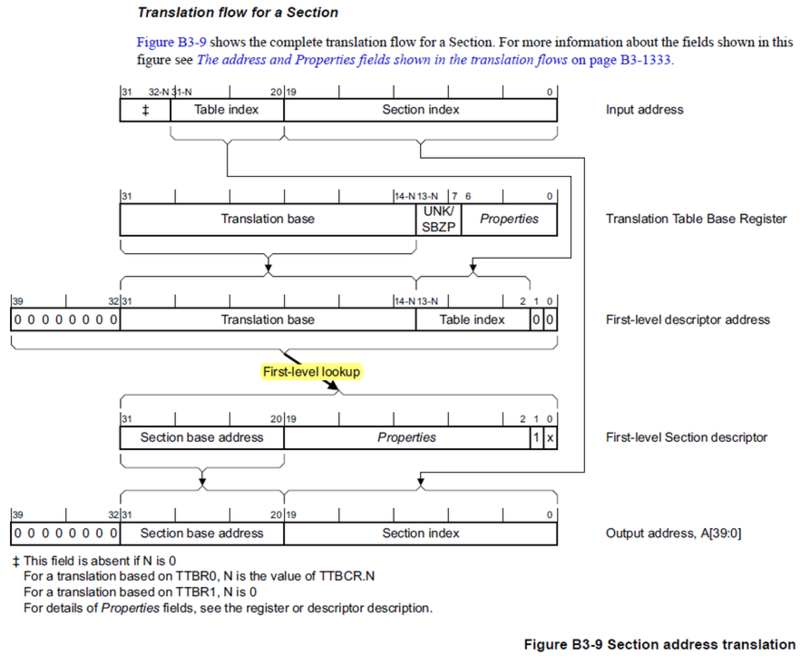 Q9: MIDR (Main ID Register)、CTR (Cache Type Register)、TCMTR (TCM Type Register) 是什麼? 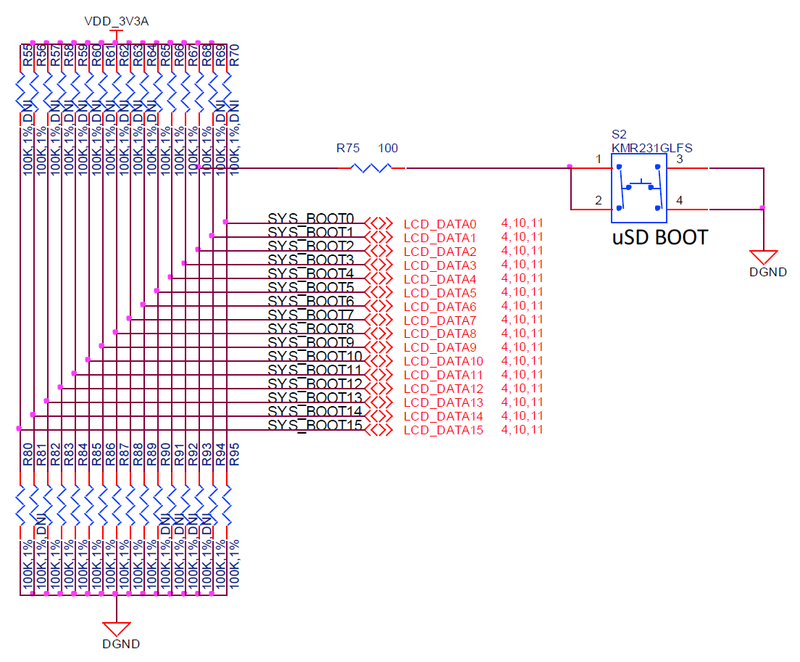 MIDR: The purpose of the Main ID Register is to return the device ID code that contains information about the processor. 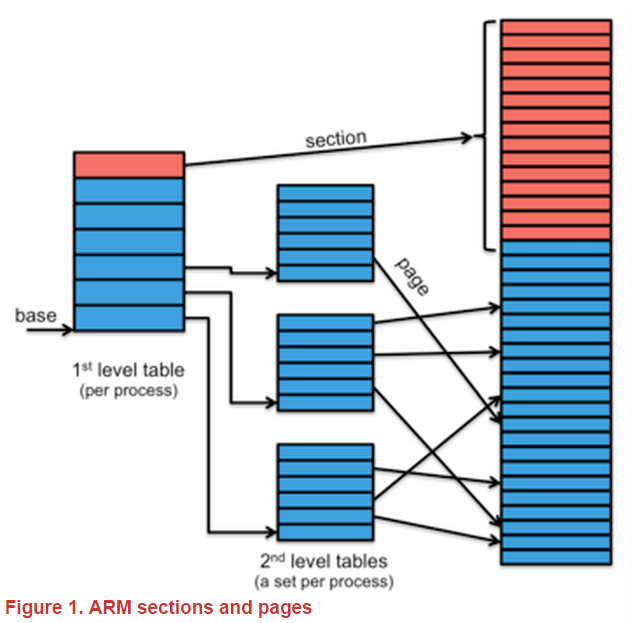 CTR:The purpose of the Cache Type Register is to determine the instruction and data cache minimum line length in bytes to enable a range of addresses to be invalidated.